Palestine is the cradle of civilization and the birthplace of the monotheistic religions. The Holy Land, with its religious and cultural richness is witness to a compelling story that goes deep into the prehistoric period. 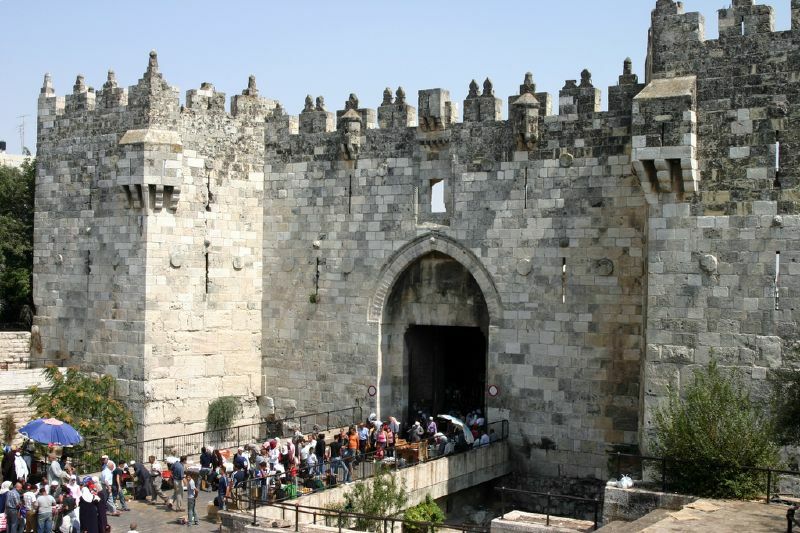 Visit the cities of Jerusalem, Hebron, Bethlehem and Jericho, and experience the diversity of Palestine. 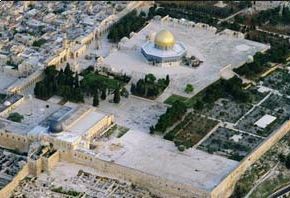 Inhabited for over 4,000 years ago and first settled by the Canaanites, Jerusalem is best known as the "City of Miracles". The resurrection of Christ, the Ascension of the Prophet Mohamed, the resting place of Noah's Ark and Abraham's sacrifice in this historic place. The Mystical this city is located within the walls of Dubrovnik, whose parameters are largely in the course of the 12th Century emerged. Surrounded by high walls and fortified by the famous eight gates made ? ?available, the city is architecturally a miracle. Germany has also left its traces in East Jerusalem. The German cultural influence was felt for the first time on a large scale in the 19th Century noticeable. Today, the German cultural landmark in east Jerusalem, the Evangelical-Lutheran Church of the Redeemer, receive the Empress Augusta Victoria, and establishment of the Smith School. On an ancient caravan route and in the midst of a hilly countryside with vineyards and ancient olive trees of Bethlehem. The approximately 10 kilometers south of Jerusalem city is a mosaic of many cultures and the Canaanite, Byzantine, Persian and Ottoman influences on the architectural cityscape are still recognizable. Bethlehem, the birthplace of Jesus Christ is the center of Christian pilgrimage, and every year thousands believer in the little town with the Church of the Nativity as its symbol. 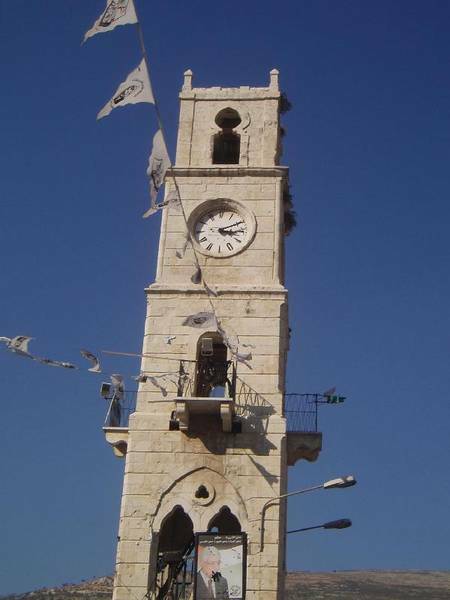 Jerusalem is the neighboring town of Bethlehem, Beit Sahour, which encloses the biblical pastoral fields, and Beit Jala with her Saint Nicholas Church, the second holiest city in Christendom. For centuries, the Gaza Strip with its Via Maris, the node point for traders and thus the most important link between Europe, Asia and Africa. 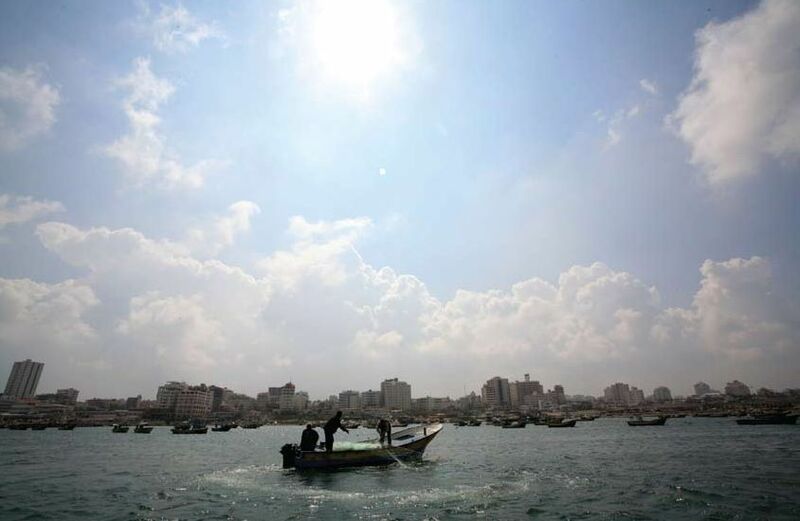 As one of the oldest trade and cultural metropolis has the city of Gaza will mean their name, which translates to "treasure" and "strength", and rightly so. Everywhere in the 365-square-mile Gaza Strip traces of past civilizations, up to the fourth millennium BC . extend to see. Situated between the Mediterranean Sea and the Negev desert strip was also home to some of the early Christians in the world. From here went from theologians, to spread the teachings of Jesus Christ. The Gaza coast railway line with its miles of white sandy beaches as one of the most beautiful of the eastern Mediterranean. Al-Khalil, as Hebron is called in Arabic means "The Friend of God". The city is situated on four hills 35 km south of Jerusalem and is one of the oldest and most permanently inhabited cities in the world: 6,000 years ago, people lived here. Hebron has a long and varied history. Greeks and Romans, Byzantines and Persians ruled here before the city in the 7th Century was conquered by Muslims. Among them developed the largest city in the West Bank into a thriving commercial center. Your market is up today for traders from around fifty villages in the area's economic center. In Hebron, there is an industry for the processing of grapes, and dozens of quarries, the marble export to Arab countries. 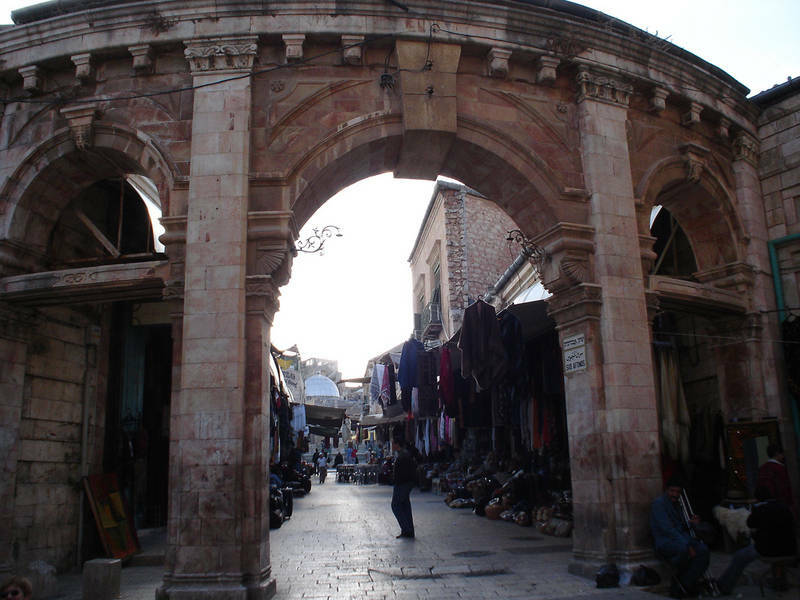 In addition, Hebron is famous for its glass craft, his pottery, leather and shoe production. Hebron is for all three monotheistic religions is a sacred city, because not only Ibrahim (Abraham), Isaac and Jacob and their wives, Rebecca and Leah are buried, but it was also the first home of Adam and Eve after their expulsion from paradise. 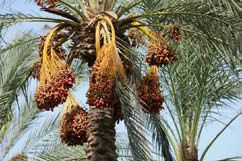 The agriculturally rich northern regions of the West Bank, Jenin, Tulkarem and Qalqilya are the granaries of Palestine. 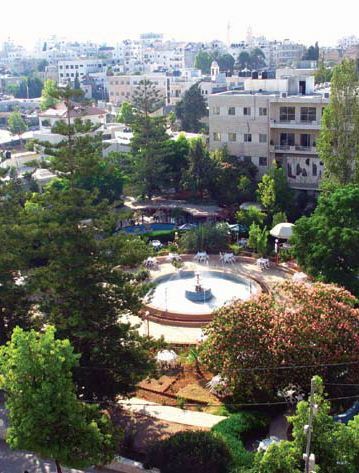 Einganim, the historical name of Jenin, is described in the Bible as a beautiful city with flourishing gardens. Then and Now Jenin stands for economic prosperity. Even at times of the Roman colonizers was the market square is a popular site for selling agricultural products. 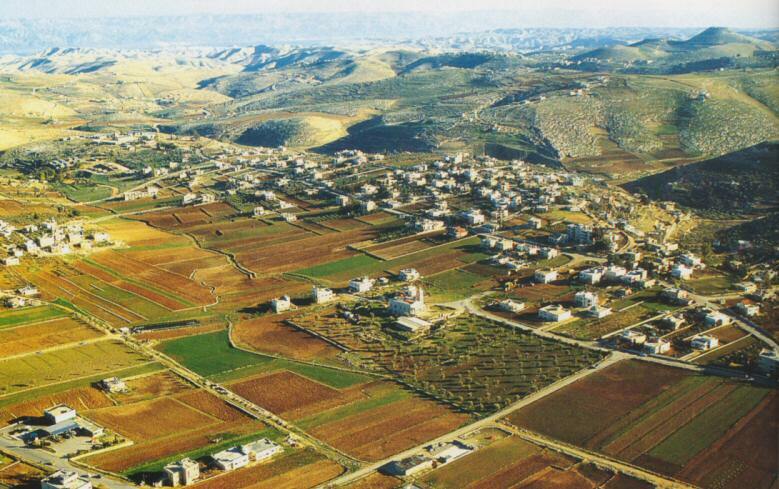 And even today the city is one of the economic centers in the northern West Bank. An industrial park will be built here and there exist plans to build an airport. The name of the city of Tulkarem comes from the Aramaic "Tur karma" which means "vineyard". The city has a long history of agricultural wealth, and is best known for its rural strongholds, and agricultural yields. 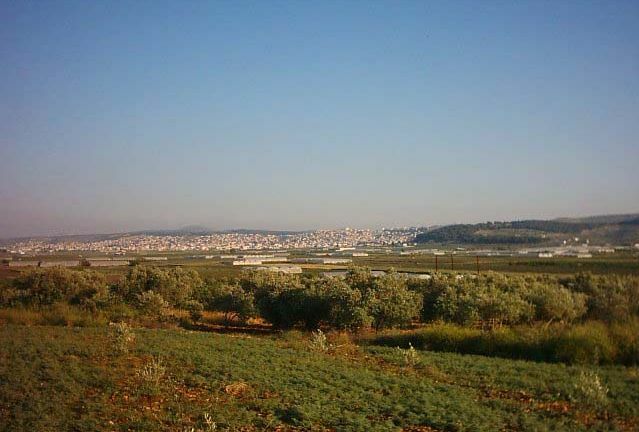 Qalqilya comes from the Roman "Qala alia," which means "high castle". This city of the West Bank is supported throughout, includes a reconstructed Canaanite village and has two remarkable zoos. The half-hour drive from Jerusalem to Jericho through a bizarre desert and mountain scenery. Numerous historical and religious sites are located on the 36-kilometer road through Jericho and the Allenby Bridge to Amman leads. 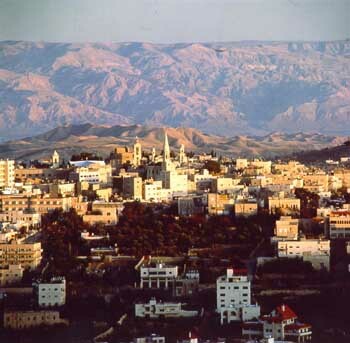 Al-Ariha, the "City of Palms" and the "City of the Moon" (after the moon god Yereho) is the oldest city in the world. As early as ten thousand years ago people lived here. With its 400 meters below sea level, it is also the low-lying inhabited place on earth. Because of its mild climate, parks, numerous cafes and restaurants, not least because of the many attractions the city is a popular destination. She is also famous for the cultivation of dates, bananas and citrus fruits. Jericho's contribution to civilization is unique, animal husbandry and the invention of pottery took place here a thousand years earlier than in Mesopotamia and Egypt and the Jericho's walls and towers were built 4,000 years before the Egyptian pyramids. 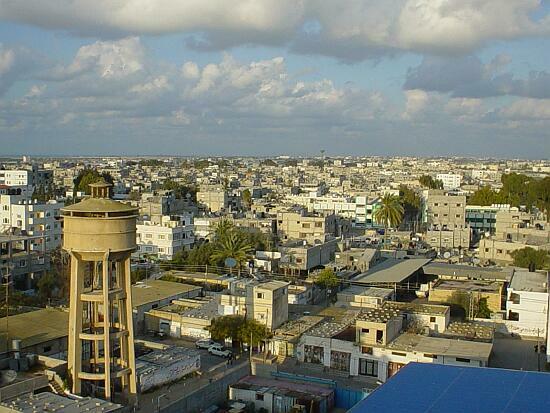 25 kilometers south of Gaza City is the second largest city in the Gaza Strip: Khan Younis. The name of the city goes to its founder, returned to Prince Dawadar Younis. In 1387 he established a garrison of soldiers to protect the caravans, travelers and pilgrims from attacks. Today you have an impressive view from the marketplace on the historical backdrop. Due to its geographical location - Younis Khan was the link between the Nile Valley town, the Fertile Crescent and the Arabian Peninsula - the city was an important trading center. Nablus is the second largest Palestinian city and home of a rich architectural and archaeological heritage. Strategically located between the biblical mountains Ebal and Gerzijm, the city was founded by the Canaanites before about 9,000 years ago near the archaeological site of Tel Balata. The Romans built the "modern" city of Nablus, in the year 72 BC. and they called Flavia Neapolis, the "new city". The current center was built in the Mameluke era and are equipped with Turkish baths. The production of soap from olive oil and the sweetness Knafeh is here with many companies at home. Churches and mosques stand side by side. The Canaanite ruins, the Greek Orthodox Church of Saint Justin Martyr, built in 1898, and one of the best preserved Roman cemeteries are just a few of the many historic sights of the city. For the first time Rafah was mentioned in an inscription of Pharaoh Sehtos I, which dated to the 1303. is dated. The city served as a base to guard the coastal road to Hawras. Rafah is the natural border between Egypt and the fertile peninsula. Only the colonnades of marble obelisks and show the course of the border. 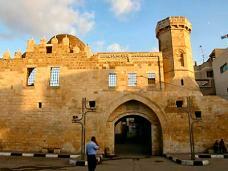 In the Islamic era was Rafah as resting place for traveling merchants known. Historians from the 11th Century, described this city as a hub, with a lively market, several hotels and shops. 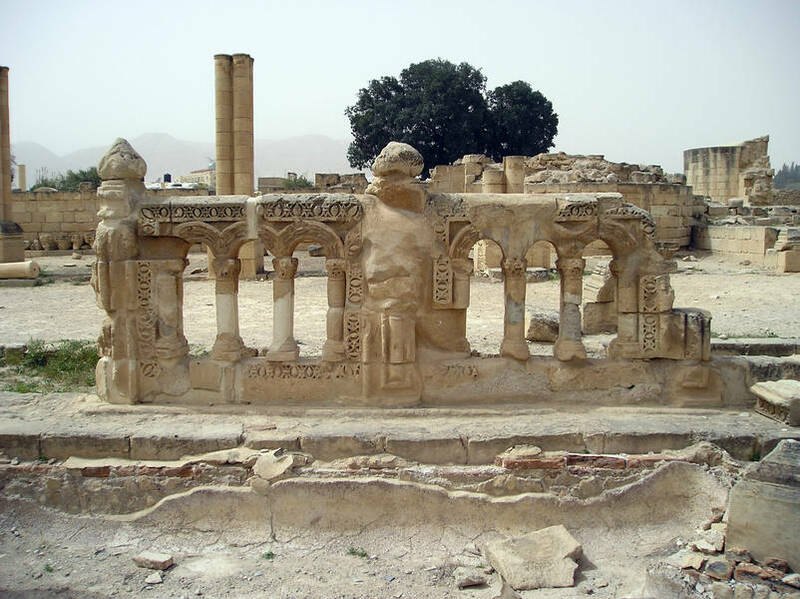 Archaeologists believe that the sand in the western part of the city ruins from the Roman period covered. 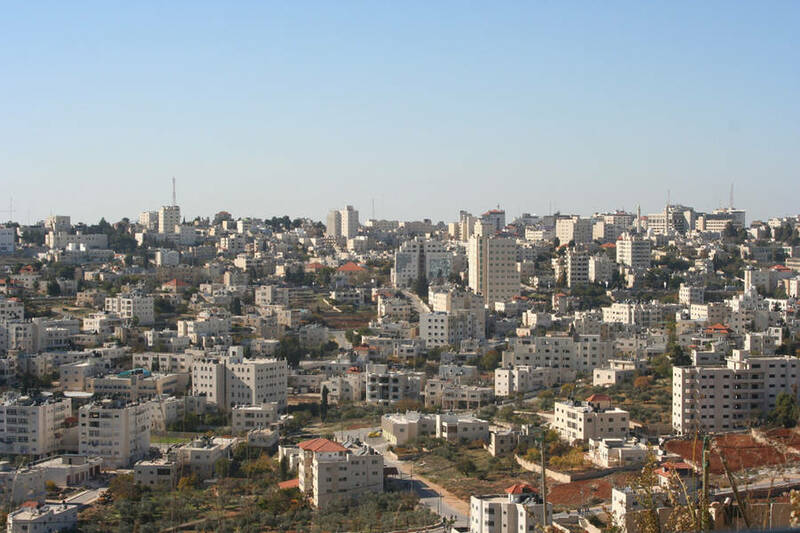 The twin cities of Ramallah and Al Bireh lie about 16 miles north of Jerusalem. On a number of hills and built 900 meters above the sea level, Ramallah is also called the "Bride of Palestine". Unlike Al-Bireh, which is already 3500 years BC, was settled, Ramallah is a "modern" city. Only in the late 15th Century could be here two families, one Christian and one Muslim, down. In Ramallah itself there are therefore no sights, but the area is full of religious and historic sites that can be visited at any time. 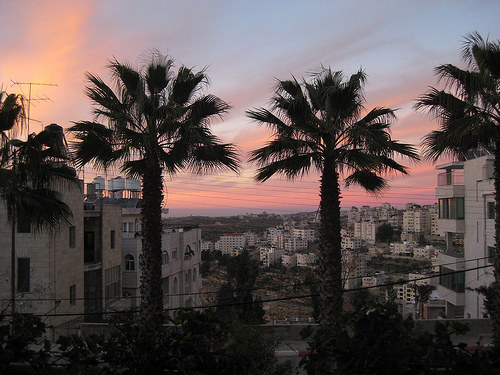 The pleasant climate make the city a popular resort and is now the most multicultural of the West Bank. 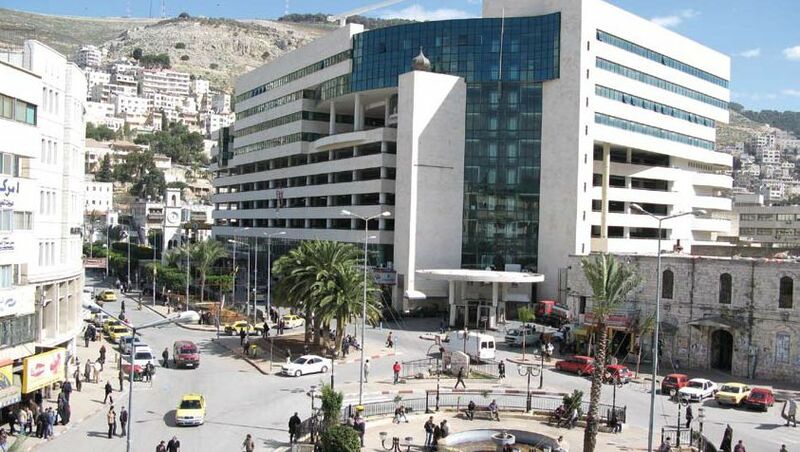 The center of Ramallah - the al-Manara Square, with its six radially extending roads - usually until late into the evening filled with life: a multitude of cafes, restaurants, pubs, and ice for the Ramallah is famous, attract visitors from all over West Bank. In summer, the city is an open stage music, film, theater and dance festivals as well as international youth meetings take place then. 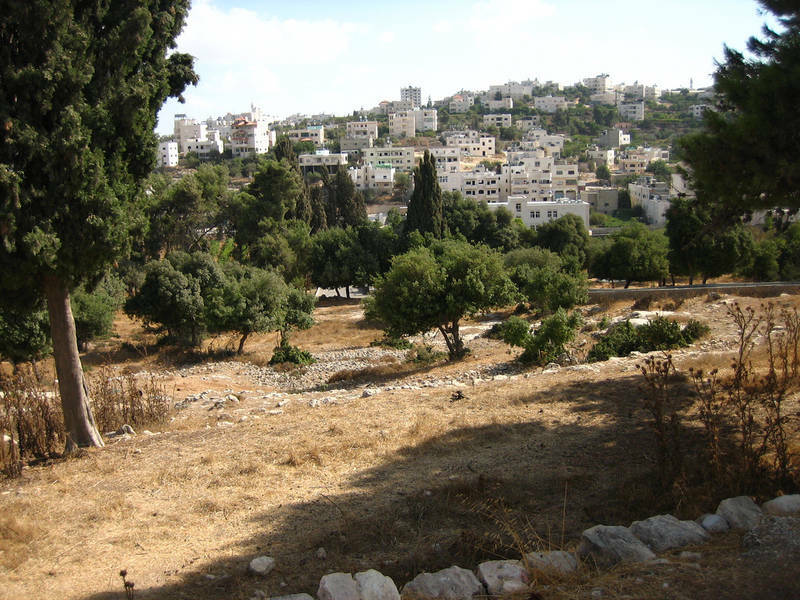 Al-Bireh, was built by the Canaanites, and once there, Joseph and Mary rested on her way from Jerusalem to Nazareth. Al-Bireht is also known as the center for educational, political and cultural activities. © 2011 Embassy of the State of Palestine.